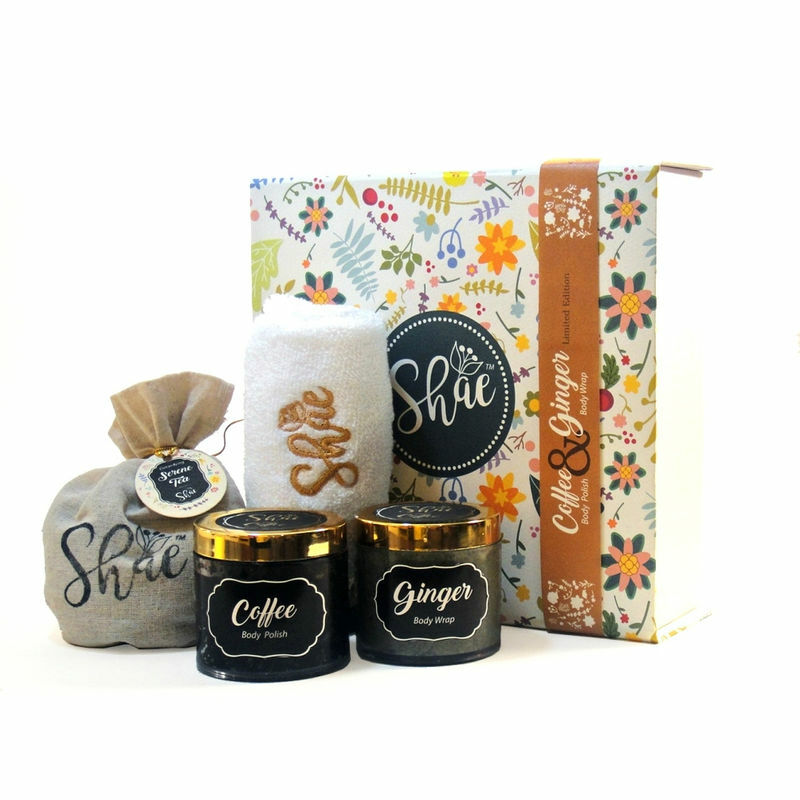 The Coffee Body Scrub & Ginger Body Wrap Spa Gift Kit by Shae consists of a range of handcrafted beauty products. 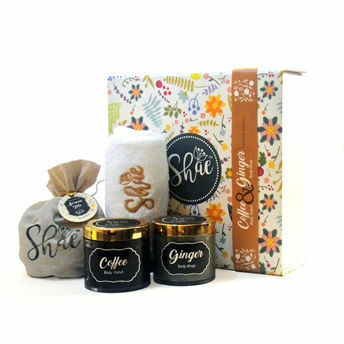 This spa kit also contains a herbal tea pouch made of exotic herbs and a plush towel. Each box is 8*8*2 inch so its very handy but accommodates two jars of handmade beauty product, a plush little towel & a signature herbal tea giving you a perfect spa gift kit for varied occasions. This caffeine rich coffee sugar scrub / body polish helps tighten pores, reducing the appearance of cellulites and giving your skin an even tone. Coconut oil seeps deep into the skin - its antibacterial and antifungal properties will keep your skin hydrated, nourished and protected. The detoxifying properties of Zeolite clay and green tea absorb the impurities from deep within pores. Ginger and ginger grass essential oil improve blood circulation, while the wrap helps flush out toxins trapped underneath, reducing appearance of cellulites and promotes healthier looking skin.